How much is Stephen Tobolowsky Worth? 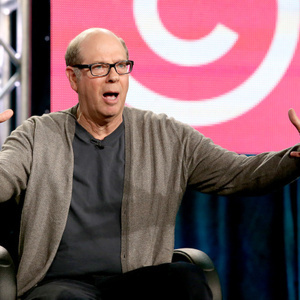 Stephen Tobolowsky net worth: Stephen Tobolowsky is an American actor and author who has a net worth of $1.5 million dollars. Stephen Tobolowsky was born in Dallas, Texas, and graduated from Southern Methodist University with a degree in Geology. While at SMU, he discovered an interest in acting, so he went on to earn a Masters degree in Acting from the University of Illinois. He began his professional performance career onstage, and then began adding film and television work to his resume in the late 70s. By the mid-80s, he was working steadily and has not stopped since. He has appeared in such film and television projects as "The Philadelphia Experiment", "Knots Landing", "Nobody's Fool", "Spaceballs", "Roe vs. Wade", "L.A. Law", "Bird on a Wire", "Seinfeld", "Basic Instinct", "Sneakers", "Against the Grain", "Blue Skies", "Chicago Hope", "The Pretender", "Mr. Rhodes", "Roswell", "Malcolm in the Middle", "Adaptation. ", "Freaky Friday", "The West Wing", "CSI: Miami", "Deadwood", "Heroes", and "The Mindy Project", among many other television shows and features. He is most widely recognized for his work on "Justified", "Glee", and "Californication".